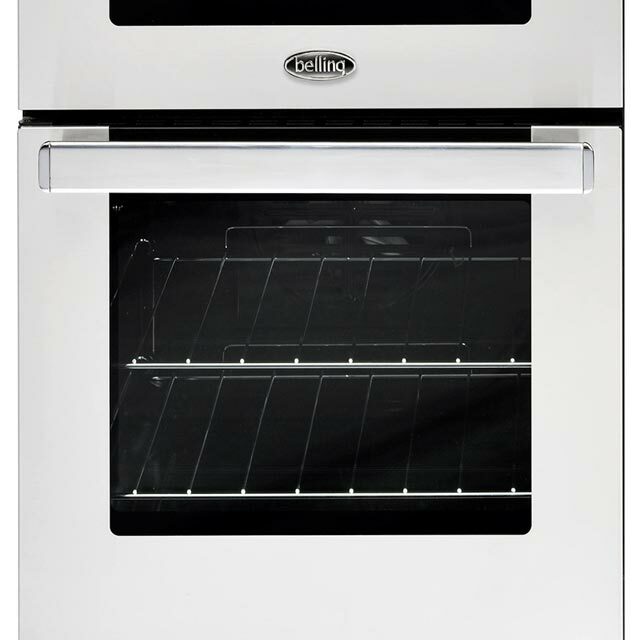 "Great cooker, plenty of cooking space. Heats up quickly. Plenty of shelves. 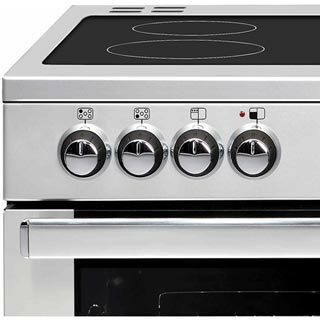 Hob heats/cools quickly. Easy to use and programme timers. 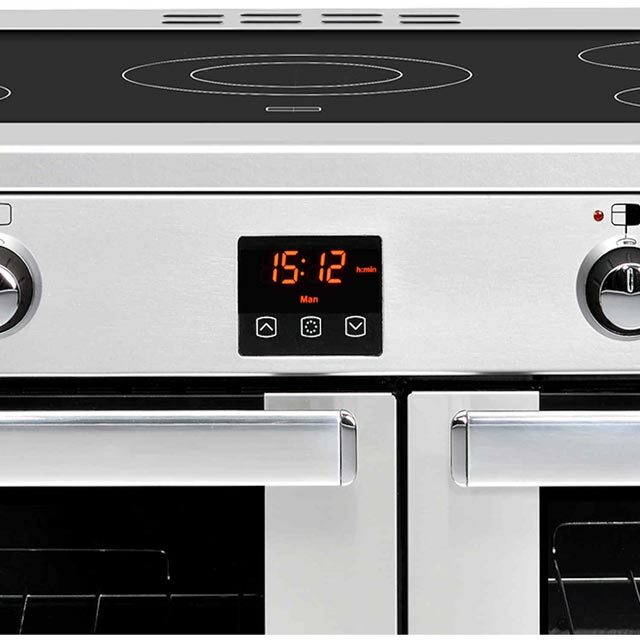 2 separate timers for each oven which is really useful." "Was apprehensive initially as I'd only used a singular free standing before but this has been fantastic. Can cook so much more at the same time. Love that I can keep food warm in another section. I'm very happy with the quality of the product considering if was affordable. " easy to keep clean as well as use. The timer and programmable oven features couldn't be simpler. My only improvement would have been a lithium backup battery for the inbuilt clock since we turn off at the wall after use due to having small children." "I needed to replace my old range for the Belling range with 2 fan assisted ovens. I've had a Bellingham cooker before so I knew they were top quality. This cooker is fantastic, easy to work and cooks my cakes very well. Very impressed with this cooker. Highly recommended." "Great product heats up quickly easy to use looks smart and is easy to keep clean very pleased with my purchase." "Expensive but seems to be good quality and the cooking spaces are roomy and allow good flexibilty while cooking." 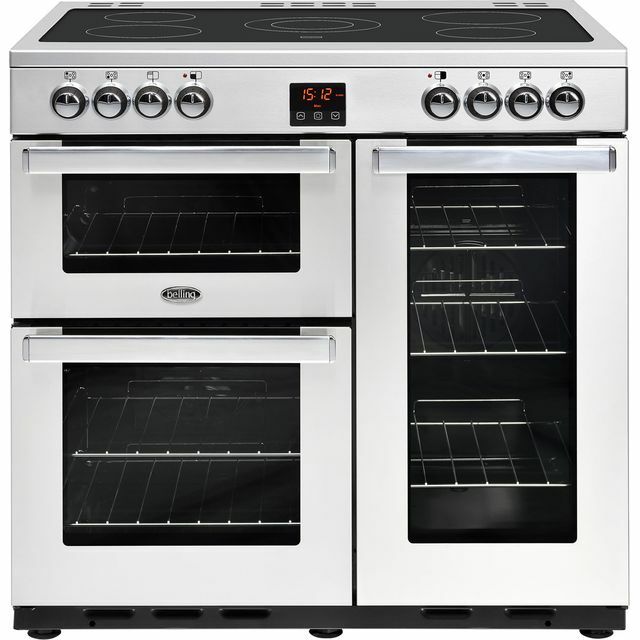 Great cooker, plenty of cooking space. Heats up quickly. Plenty of shelves. Hob heats/cools quickly. Easy to use and programme timers. 2 separate timers for each oven which is really useful.